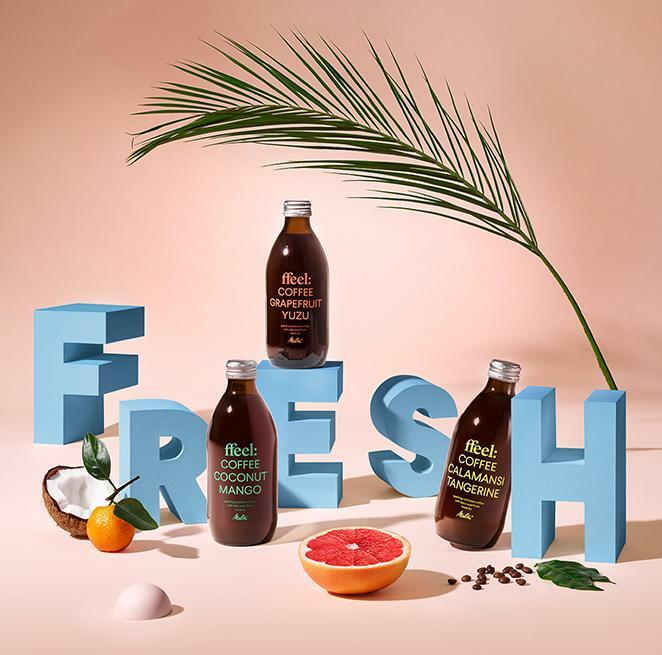 ffeel® is a natural refreshment drink that combines the invigorating effect of cold brew coffee and the fresh taste of superfruits. With 18 mg of caffeine per 100 ml, ffeel® is a revitalizing lifestyle drink for any time of the day. The product name ffeel® is derived from “coffee lemonade”. ffeel® is currently available in three flavors. All varieties are characterized by their special ingredients. Compared to conventional soft drinks, ffeel® has a very high fruit juice content of 43 to 55 percent – depending on the particular flavor. Due to the natural sweetness of the fruits, ffeel® has no additional sugar and is 100 percent vegan. The high-quality content and special packaging design make ffeel® an innovative product that awakens consumer curiosity.